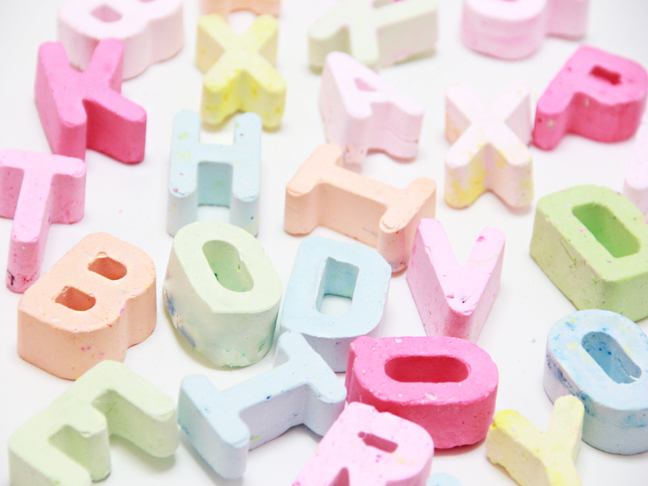 Chalk is so easy to make! 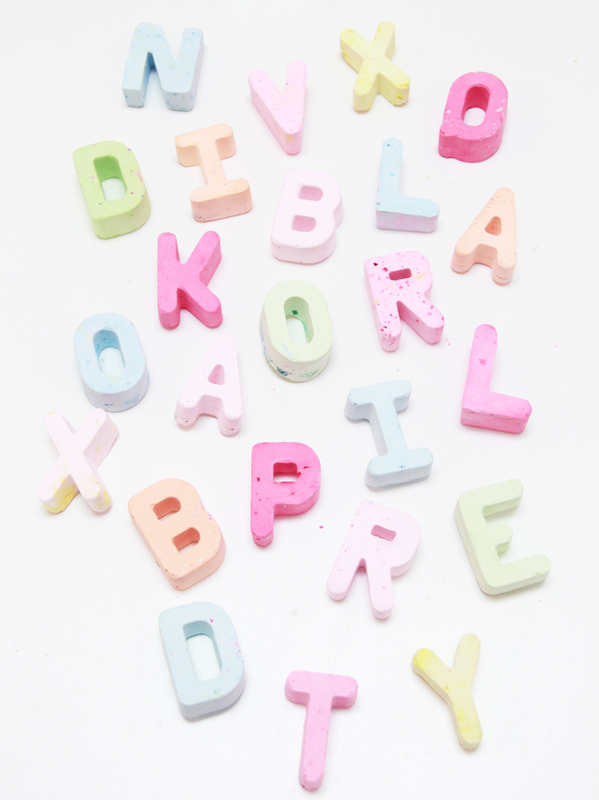 There’s no better way to teach your kids the alphabet than by having them make their own DIY chalk letters to play with at home. 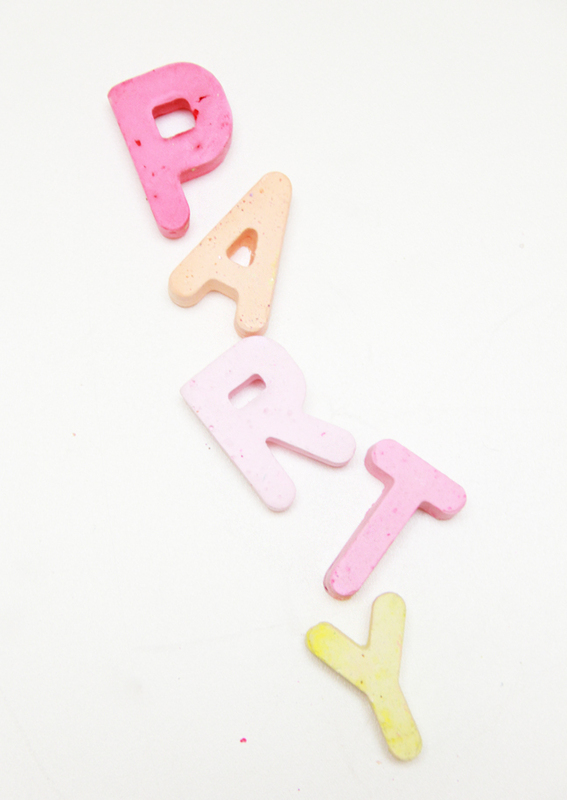 Letter chalk makes a wonderful kids’ party favor, too. 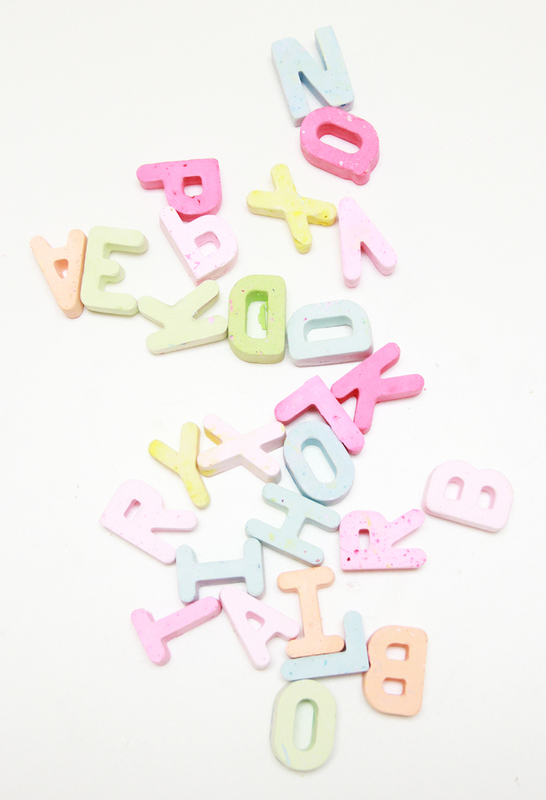 Spell a guest’s name out and put it in a favor bag for them to keep! 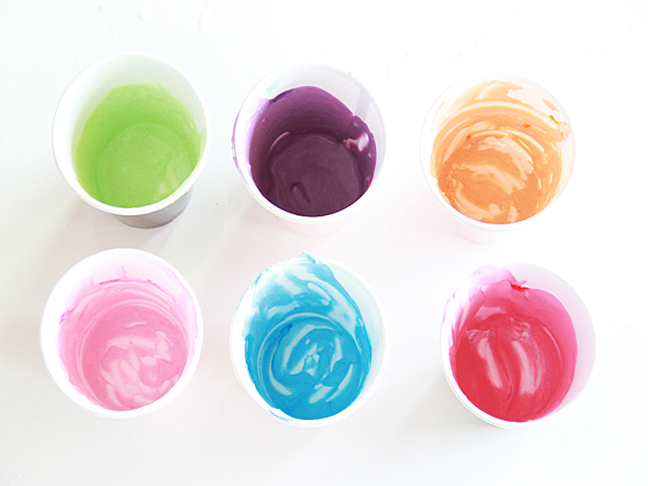 Step 1: Mix equal parts of Plaster of Paris and water in a cup, add paint, and stir. 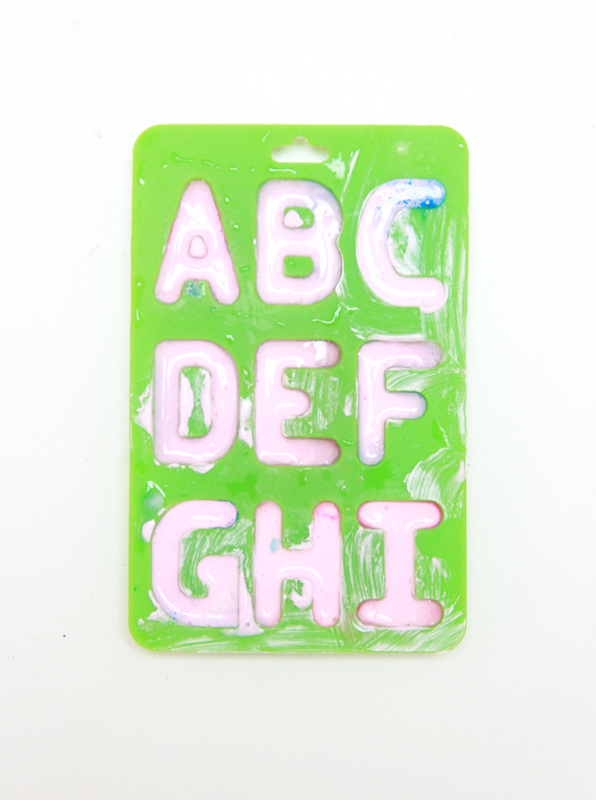 I used 1/4 cup Plaster of Paris and water, and that made about 5 chalk letters per color. The paint amount is up to you; the more paint you use, the bolder the color. Step 2: Pour mixtures into your silicone mold and wait at least 8 hours. If you remove the chalk too early it will break easily in the mold. 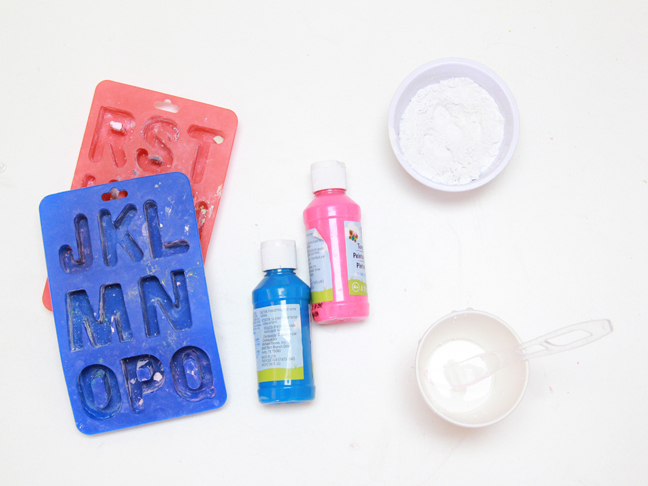 Making chalk is a great craft for parents and kids to do together. My nearly 4-year-old chose all the paint colors, poured the water, squeezed out the paint, mixed the solution in the cup, and very impatiently waited for it to dry into chalk.